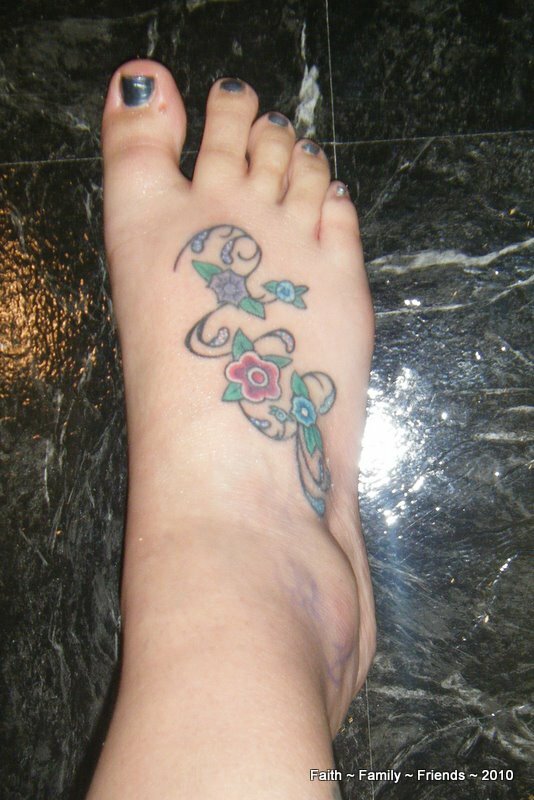 Alright, so maybe it is not my best foot, as I am in desperate need of a pedicure, but…. my new tattoo surely rocks! 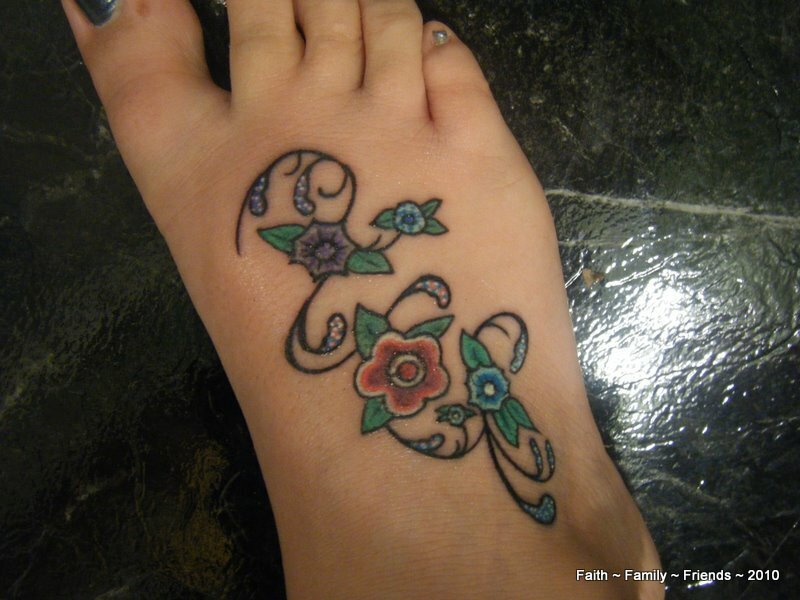 I have wanted one on top of my foot for over 10 years, but I kept wimping out. Awesome!! I LOVE, LOVE it!!! !